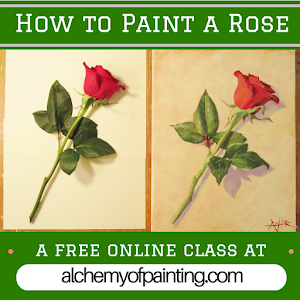 Check out Laura Lohmann's amazing blog! 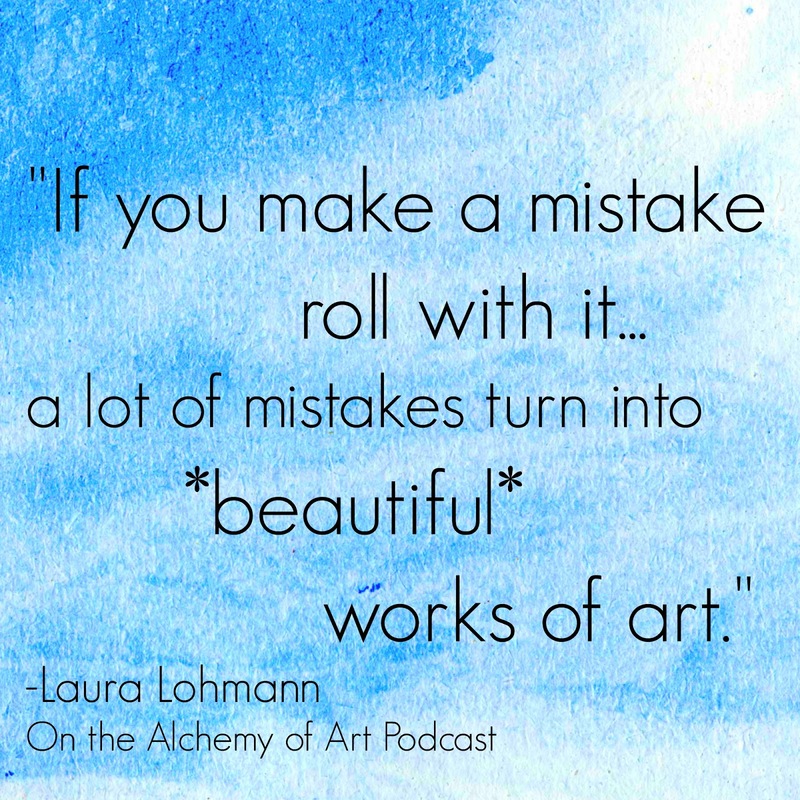 Today’s podcast features an interview with art teacher, Laura Lohmann of paintedpaperart.com and the true story of Vincent Van Gogh. 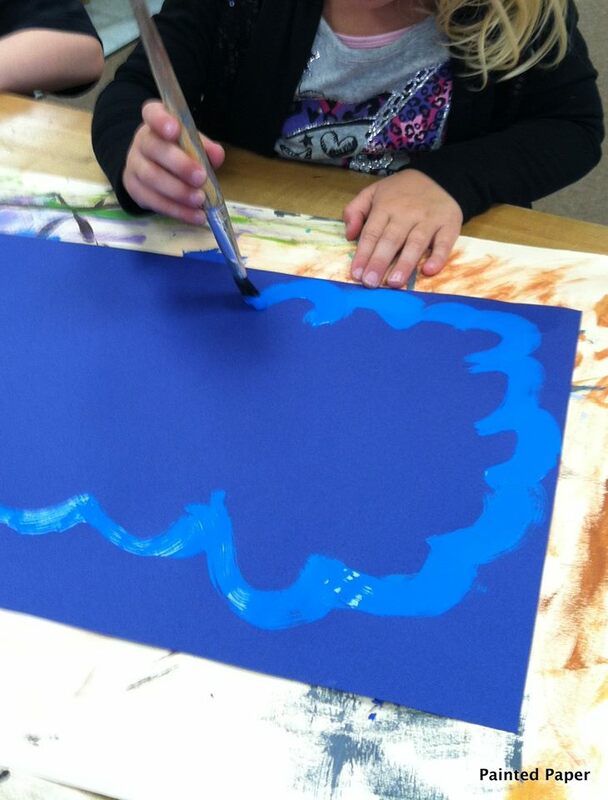 Laura Lohmann has been teaching elementary art for 20 years in Ohio. On her popular art blog paintedpaperart.com she share a wide variety of art project ideas. Many of these ideas are inspired by literature and cultures from around the world. In addition she has lesson plans available on Teachers Pay Teachers and her work has been featured in Family Fun magazine and Arts and Activities magazine. 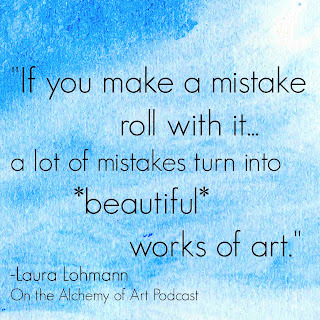 Find out more about Lohmann and her work at: www.paintedpaperart.com! "May you be like the lotus at home in the muddy water." Podcast also available on iTunes. 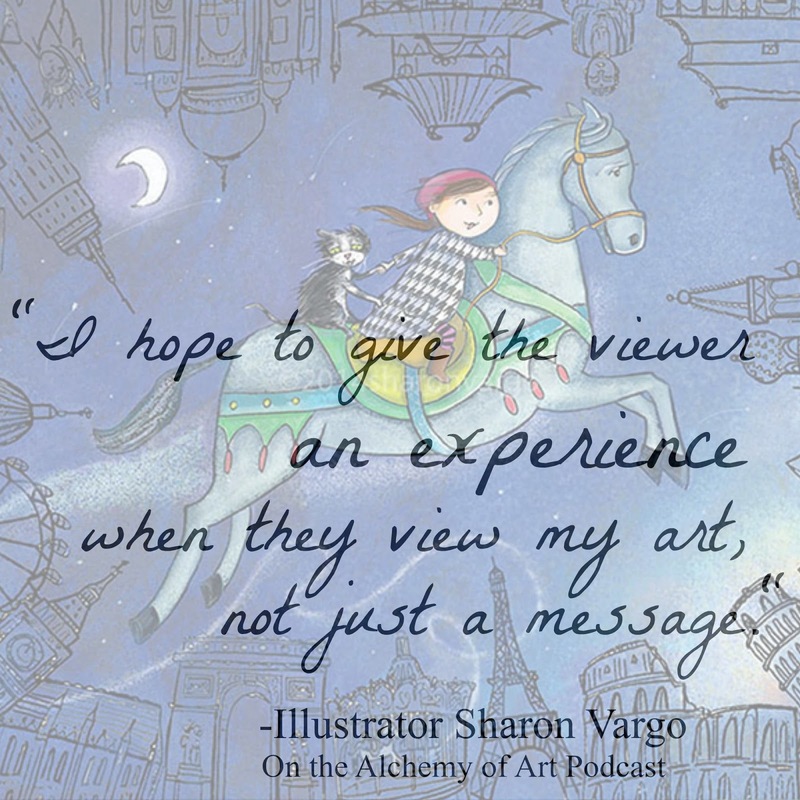 Today's podcast features an interview with the children's book illustrator, Sharon Vargo and the true story, "The $20 Bill." Vargo is a writer and illustrator who lives in Carmel Indiana. She received a BFA from Pratt Institute. 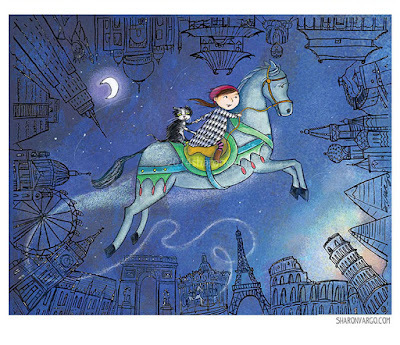 Her paintings have appeared in children’s books, magazines, textbooks,murals, limited edition prints, and are in private and museum collections. 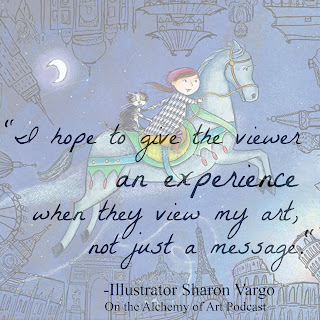 She wrote and illustrated the book, “Señor Felipe’s Alphabet Adventure.” Sharon is currently an active member of the Society of Children’s Book Writers and Illustrators. Thanks for the inspiration Sharon! Today's featured story is a true story, "The $20 Bill." 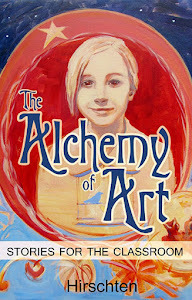 This story any many others are found in the book, "The Alchemy of Art: Stories for the Classroom."